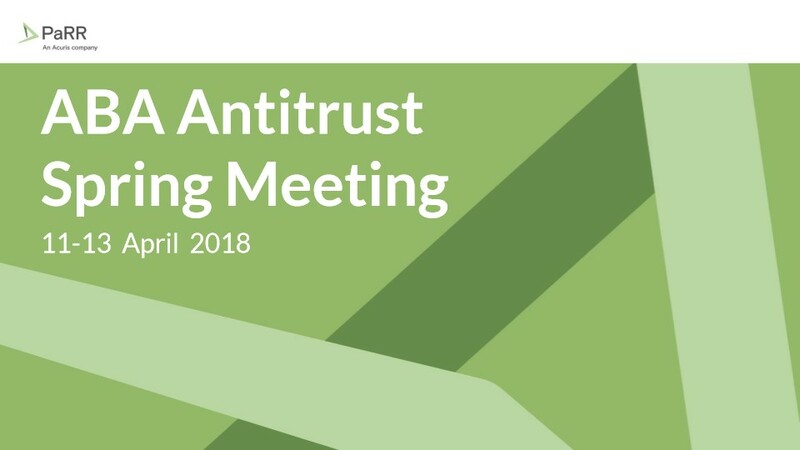 Antitrust officials and lawyers gathered in Washington last week for the American Bar Association’s 66th Antitrust Law Spring Meeting as talk of a full-on trade war between the world’s top two economies reached a fevered pitch. Assessing litigation strategies at a time of shifting policy directives and evolving market structures, PaRR provided our readers with front-line coverage of the panels, fireside chats and exclusive interviews that make the ABA Spring Meeting the preeminent event on the global competition docket. This year was no exception. The Department of Justice’s antitrust chief Makan Delrahim informed the gathering that “big is not bad” when discussing the world’s largest digital platforms. We also learned in real-time that US enforcers now view vertical mergers through a very different prism, as government lawyers fought the AT&T/ Time Warner deal in a nearby courtroom. In the week that saw Facebook’s CEO Mark Zuckerberg defend the social media giant at hearings before the US Congress, the EU’s competition head Margrethe Vestager weighed in on the issue of data privacy. The Danish commissioner stressed the need for competition law and other regulatory issues to walk together hand-in-hand, as she lauded the imminent introduction of the EU’s General Data Protection Regulation. Another contentious issue that sparked debate was China’s restructured antitrust regime. The newly formed State Administration for Market Supervision (SAMR) will see antitrust powers - previously spread across three agencies – brought under one roof. Watch this space for future coverage. Antitrust officials from the UK, Brazil, New Zealand, Canada, Ukraine, Mexico and other nations also shared insights, a reminder to companies and their advisors that competition enforcement is a truly global issue. We have gathered our coverage of the conference into a single report which we hope you enjoy.